When we crafted the tag line for the West Palm Beach Downtown District, we knew we’d always have to stay true to the area’s brand promise to be “Always Original.” When you make that kind of promise, you have to deliver it on every level, especially with programming choices. 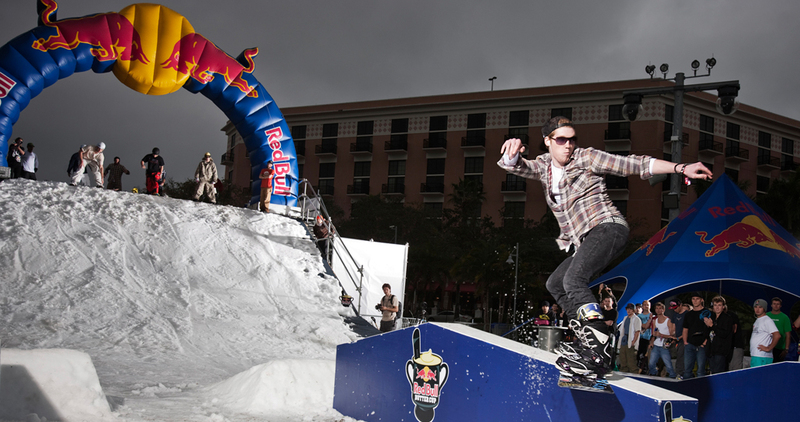 Bringing Florida’s first snowboarding competition to the Downtown waterfront in 2011, especially one produced by the (always original) Red Bull team, was a pretty cool way to deliver those goods. 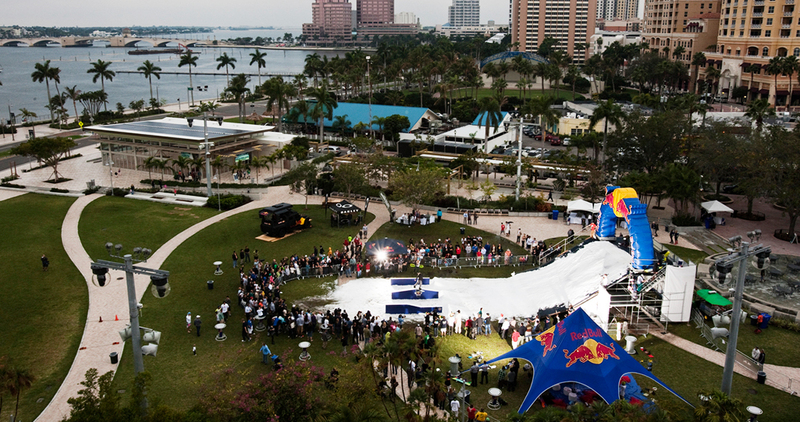 Two dozen talented ‘shredders’ plus 30 tons of shredded ice attracted 5,000 visitors to local restaurants and shops, and the Downtown District also benefitted from residual exposure on CNN, Headline News, NBC Miami and across all local media platforms. Pretty gnarly results.